Christmas is a time for giving but it also seems to be peak time for taking. The experts tell us that the holiday period is boom time for burglars and it’s not just uninhabited homes whose owners have gone away that are at risk from unwanted visitors. Places that are brimming with people celebrating together and swapping gifts are equally likely to be targeted over the holiday period with money, jewellery, laptops, mobile phones, cameras and other valuables on many a thief’s Christmas list. Don’t advertise your absence. You wouldn’t put a poster on your gate or front door telling people you’re away, so as far as possible, you should avoid publicising your whereabouts on the internet too. Keep up the levels of activity around the home. Ask a neighbour to park their car in your driveway every now and then to give the impression that the house is occupied and ask a couple of friends or relatives to pop in and check the property whenever they’re passing. Better still, consider asking a trustworthy and reliable housesitter to look after your property whilst you’re away. Monitor the maintenance. An overgrown lawn and overflowing letterbox are dead giveaways that the property is uninhabited, so ask a kind neighbour to keep an eye on things for you. They should take out the bins (it doesn’t matter if they’re empty), collect the mail, pick up any old newspapers in the driveway and remove any other clues that point to the homeowner being away. Put lights on a timer. You should install timer switches on selected interior and exterior lights so that your home is well illuminated. Motion-activated exterior lights, especially at the front entrance, are also a useful security feature. It’s also possible to use mobile technology together with special plugs so that you can activate lights remotely from your smartphone or tablet when you’re away. Lock doors and windows. Whether you’re going away for four weeks or going down the road for five minutes, it’s always advisable to lock all entry doors and secure your windows. You should also keep your garden sheds locked as these often contain tools or equipment that thieves like to steal – and which can facilitate their illegal entry (such as a ladder to reach an unsecured second floor window or balcony). Pack your car discreetly. Suitcases scattered around a driveway or open garage send a clear signal that the family is on the move, so try and keep your packing out of sight of would-be intruders. Don’t publicise your gifts. Try and keep any packaging materials hidden away. Large cardboard boxes with picture of TVs or other products printed on the outside, user manuals or plastic coverings from electronic devices are a dead giveaway as to the whereabouts of these desirable items. Keep valuables out of sight. However excited you may be to get some lovely gifts at Christmas time, remember not to leave them in plain sight of anyone passing by or on a surface close to an open window where they may be at risk. Minimise hiding spots. Keep your shrubs and hedges trimmed back so that would-be thieves can’t lurk in the undergrowth whilst they wait to strike. Be alarmed. If you’ve got an existing burglar alarm system, make sure it’s serviced and fully operational before you go away and if you don’t have one, you really should think about installing one. The main focus of home security is to deter criminals and make your home more difficult to access than the next property – and that’s why an alarm system that is tailor-made for your property and your needs is such an asset. Smile, you’re on camera! A home CCTV system can be as simple or as sophisticated as you like, from a camera link to an intercom system for screening visitors to multiple cameras around the property and live security camera monitoring from your computer, smart phone or mobile device. 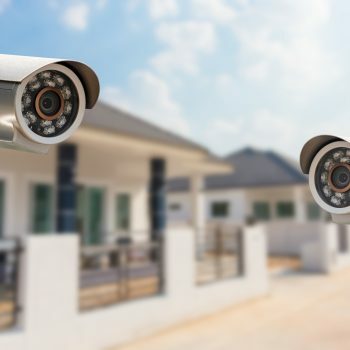 What’s more, the mere presence of CCTV cameras is a deterrent to would-be intruders and sends a clear signal that the homeowner is serious about security. Be vigilant. When you’re having a good time celebrating with family and friends and rushing from one function to another, it’s easy to overlook some security aspects. But remember, an opportunistic criminal will seize upon any lapse in concentration, so you do need to be vigilant. With crime on the rise, avoid becoming another statistic and talk to Crown Security, a leading one-stop provider of tailored home security, commercial security and home automation solutions. From early beginnings in 1994 as Crown Security, the company has grown into one of the premier commercial security, residential security and home technology companies in Perth with an established reputation for innovation, value and quality. For more information on home security systems in Perth, contact them on 08 9400 6000 or visit www.crownsecurity.com.au.